“I see you,” I choked, the tears finally slipping from my eyes. This. This is Aly Martinez's best work to date. I've read all but one of her series (Wrecked and Ruined), and she's consistently given readers stories that evoke a myriad of emotions. With The Darkest Sunrise, it felt as if she delved deeper than she ever has before, and in the process, she's tapped into love story that's mired in darkness yet has a sliver of light lingering just out of reach for both main characters. It is a very heavy read and it does end in a cliffhanger. 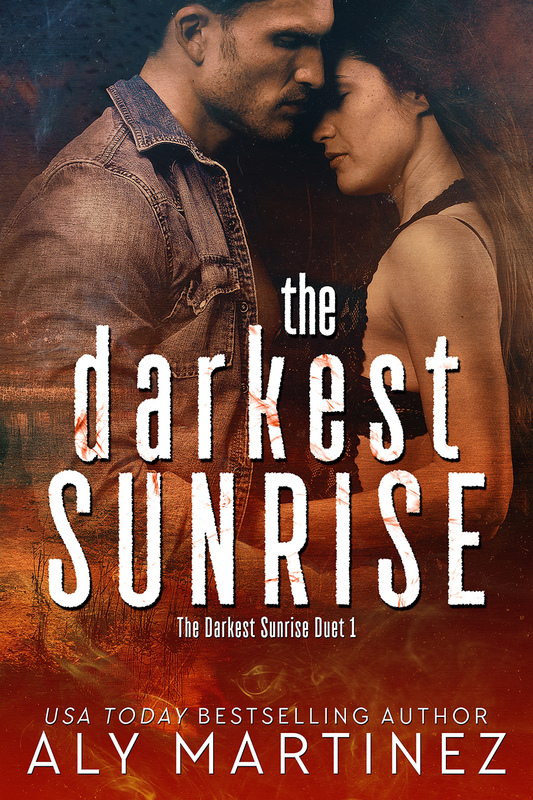 However, the conclusion of this The Darkest Sunrise duet, The Brightest Sunset, is due out just two weeks after the release of the series starter, so don't fret about there being too long a wait in between both books. Purchase The Darkest Sunrise on Amazon.